Fibre optic splitters are quite important in today’s optical network. Splitters can help users maximize the functionality of optical network circuits. A fibre optical splitter is a passive optical device that can split, or separate, an incident light beam into two or more light beams. These beams may or may not have the same optical power as the original beam. The outputs of a splitter can have various degrees of throughput. And that is very useful to decide whether the splitter is used for network monitoring or for a loss budget in a passive optical network (PON) architecture when designing optical networks. 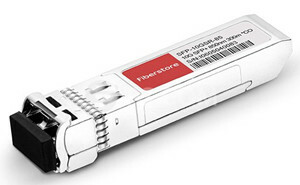 This article will give brief introduction of fibre optical splitter. There are two kinds of the most commonly used fibre optical splitters. And they are planar lightwave circuit (PLC) and fused biconical taper (FBT). PLC splitters (as shown in the following picture), from the name, it’s easy to find out that PLC splitter is based on planar lightwave circuit technology. It uses an optical splitter chip to divide the incoming signal into multiple outputs. It consists of three layers including a substrate, the waveguide, and the lid. The waveguide layer accepts the incoming optical signal and passes it to the outputs. FBT splitter is fused with a heat source similar to a fusion splice. Fibres are aligned in a group to create a specific location and length and will be fused with heat to meet the desired parameters such as insertion loss. Fused fibres are put in a V-shaped groove and fixed in a silica tube with a mix of epoxy and silica powder to get the proper heat. Fibre optical splitters vary in numbers of inputs and outputs. The split ratios are based on the network use of fibre optical splitters. In a PON architecture, it uses splitters to split a single fibre into multiple fibres to feed as many as 64 end users. A typical split ratio in PON application is 1:32, or one in coming fibre split into 32 outputs. Large split ratios like 1:32 or 1:64 are often found in some kind of housing. That’s because with so many fibres related to these splitters, a platform should be used to manage the splitter modules, patch modules, patch cables, etc. Most often a high-density fibre bay is required so that the splitters can be all placed in a distribution site or a PON enclosure. The PON cabinet plays a significant role in today’s applications since the space is so limited. When it comes to a high-density frame with varying split ratios and large number of patch cords, the distribution frame is critical for a good cable management. As the city grows and subscribers increase, the network architect must deal with multiple distribution points and backhaul. To meet so many subscribers’ requirements, the flexibility in head-end locations, distribution points and split ratios becomes more significant. To network service provider, saving capital and operational costs is important. On one side, fibre optical splitters can save fibre cost by reducing the fibre usage and that’s why they are so important in FTTx/PON networks. Using a single fibre to feed as many as 64 end users significantly reduces the fibre quantity. On the other side, the long-term operation costs can’t be ignored either in optical network splitter applications. That’s one of PON’s advantages. For example, it can decrease the power consumption. Another way to save cost is to ease maintenance and increase the flexibility for smaller split ratios, which lead to more bandwidth per subscriber. For example, a service provider would likely need to split the optical terminal line (OLT) with a 1:2 splitter, and adjust the split ratios from there based on delivery to residential (1:32). These multiple split ratios can create flexibility in the network as long as the utilization of transport electronics such as OLT is concerned. Loss budget can be greatly influenced by the use of multiple splitters. From the above content, to run a network architecture, the network success and cost should be paid attention. And fibre optical splitter is such a good device to increase the efficiency of optical infrastructure and save the capital and future operational cost. This entry was posted in Fiber Splitter and tagged fibre optic splitter, FTTx, OLT, PLC splitter, PON on May 13, 2016 by laura.